Product prices and availability are accurate as of 2019-04-20 10:18:52 UTC and are subject to change. Any price and availability information displayed on http://www.amazon.com/ at the time of purchase will apply to the purchase of this product. These handy dampers go in-between your motor and frame, and reduces the noise and vibrations of your machine. This is achieved by having a 3mm rubber ring in-between two steel plates. 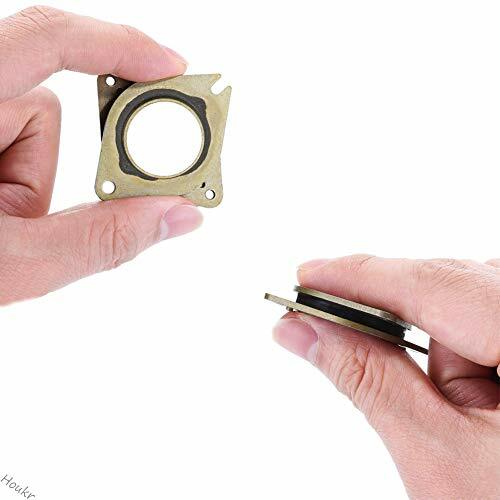 This rubber rings absorbs the vibrations and stops them from being amplified by the frame. 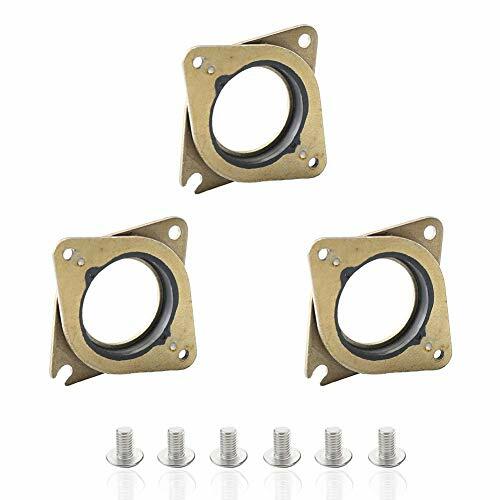 ?Nema17 Stepper Dampers for Making 3D Printer be quiet and resonance in CNC, 3D Printer. ?3D Printers see a 5-10dB reduction in noise when used on X and Y Axis steppers with the vibration damper for NEMA 17. ?Works on both Cartesian and Delta style Additive Manufacturing machines such as CR10, CR10S, Ender 3 and so on. 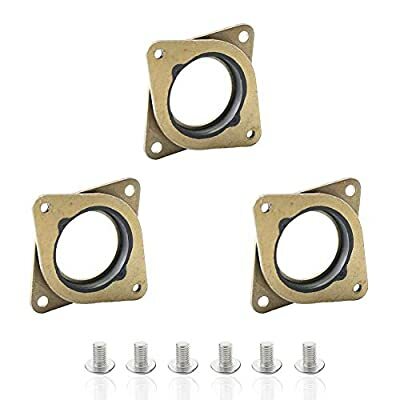 ?Pair these with good filament for the best results in 3D printer and remove vibration and noise. Quieted Down 3D Printer Greatly. 24-hour feedback excellent customer service. Any purchase doubt please ask in the Q&A, we will answer it as soon as possible. 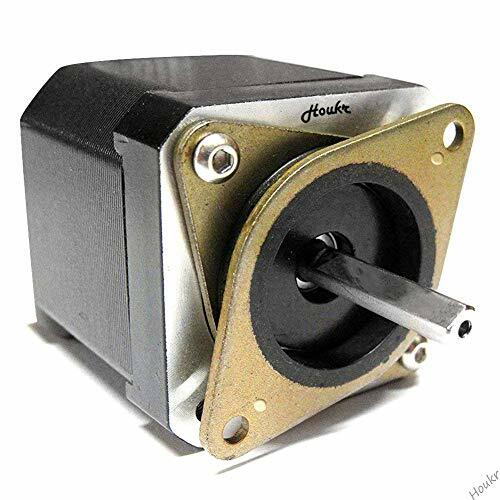 For more 3D Printer parts or accessories, please visit "Houkr "Amazon Store. Thanks! 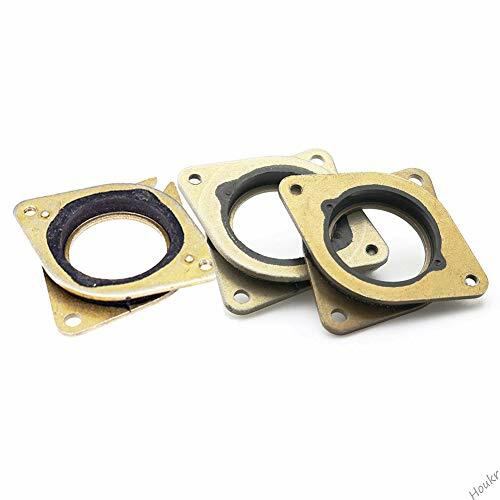 ?Function: These Steel and Rubber Vibration Dampers play a role for reducing noise and vibration so that improves print speed. ?Applications: These vibration dampers are suitable for Creality series 3D printer and other 3D printers adopted NEMA 17 stepper motors. 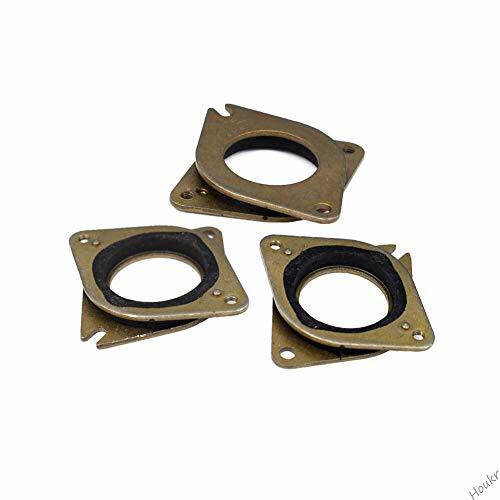 ?High Quality: Thickness is 6 mm, made of high quality brass which is durable and sturdy.Brass has good wear-resisting performance, can serve you for a long time. ?Packing: 3 pieces stepper dampers, 6 pieces M3 5mm screws. ?3D Printers see a 5-10dB reduction in noise when used on X and Y Axis steppers with the vibration damper for nema 17.